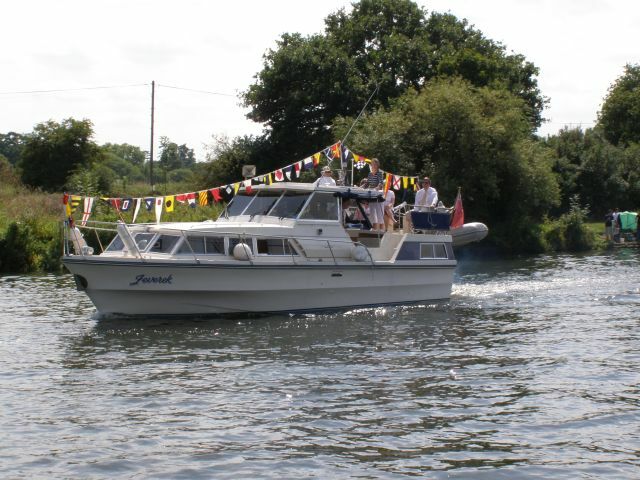 Ours is a fairly informal club so we only have a formal sail past to salute our commodore on special occasions such as major anniversaries. 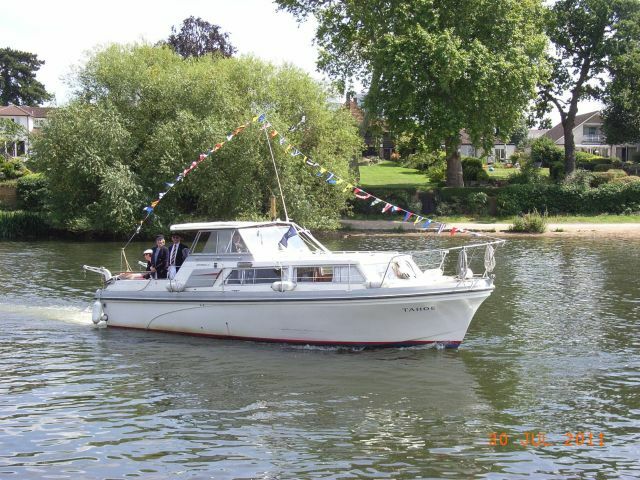 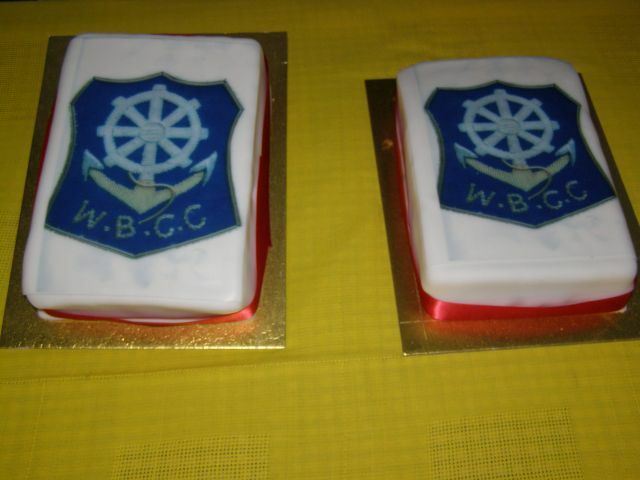 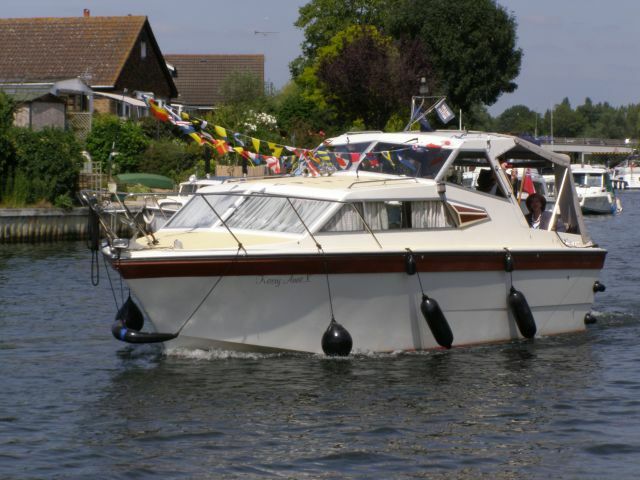 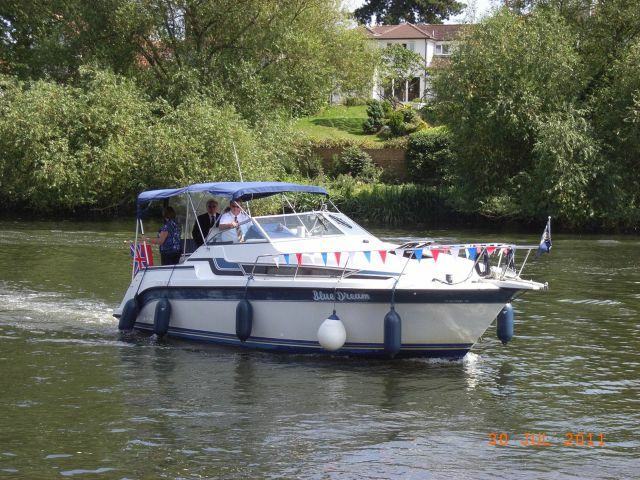 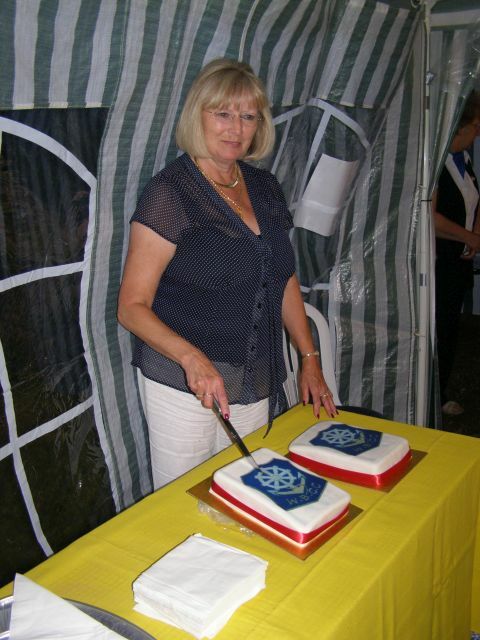 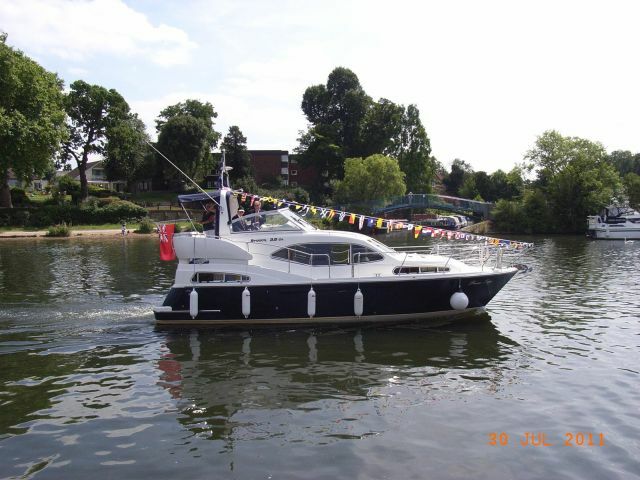 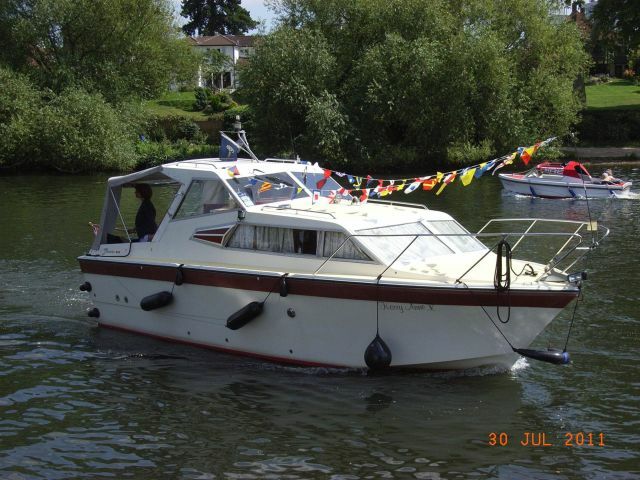 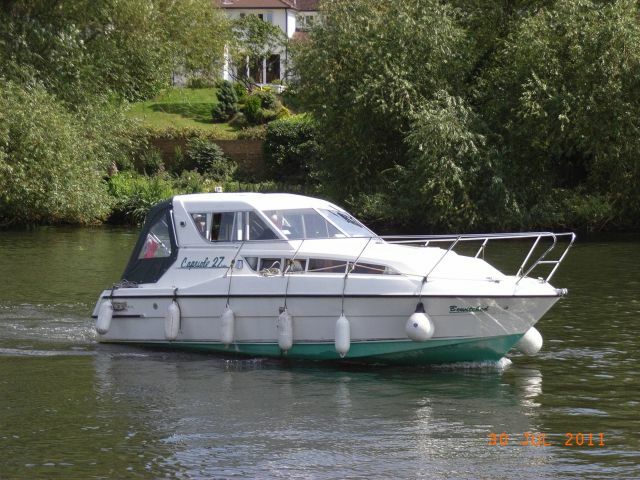 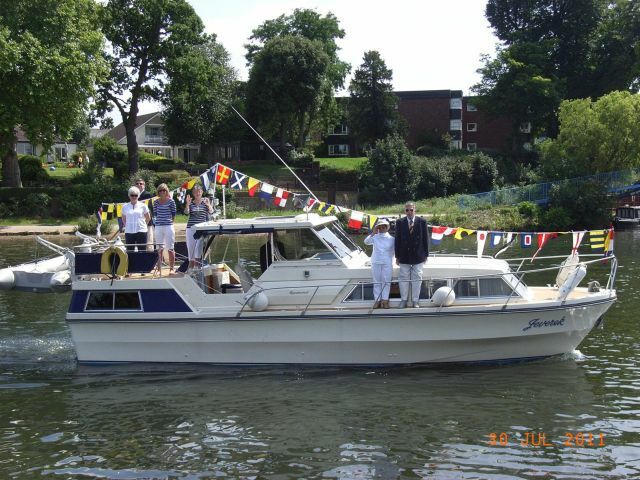 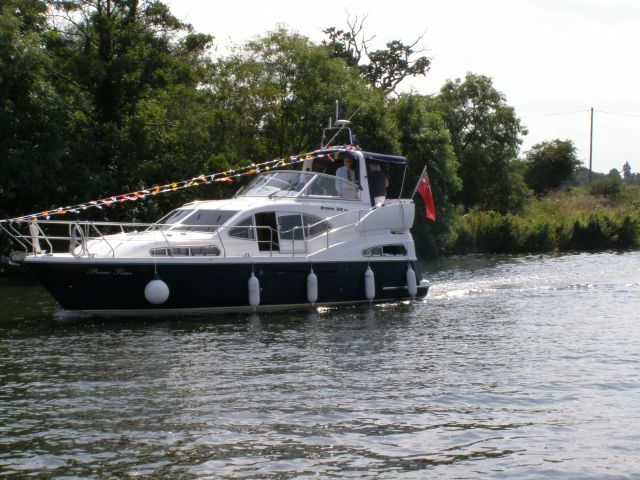 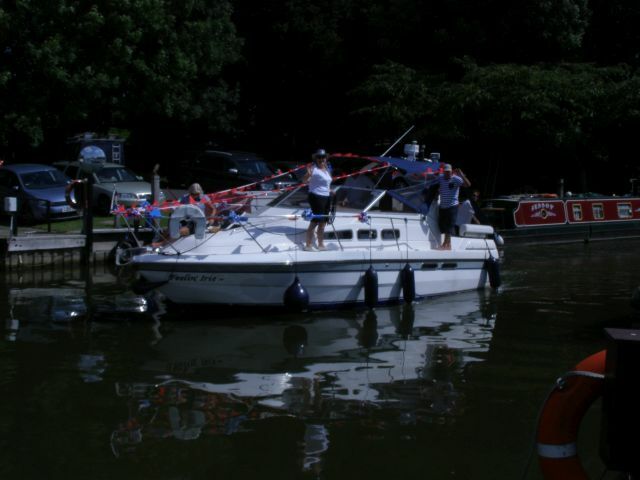 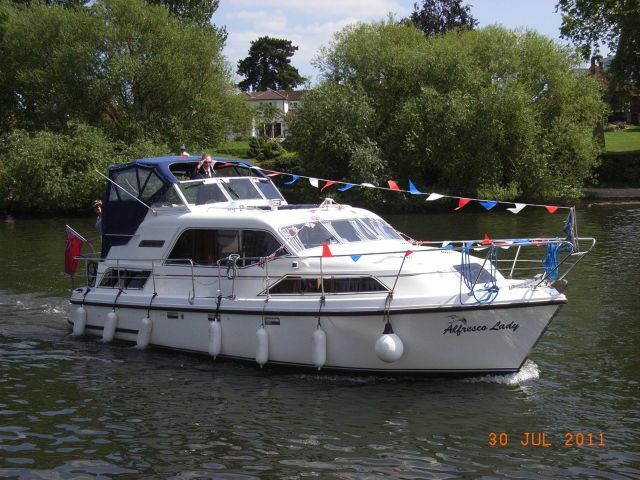 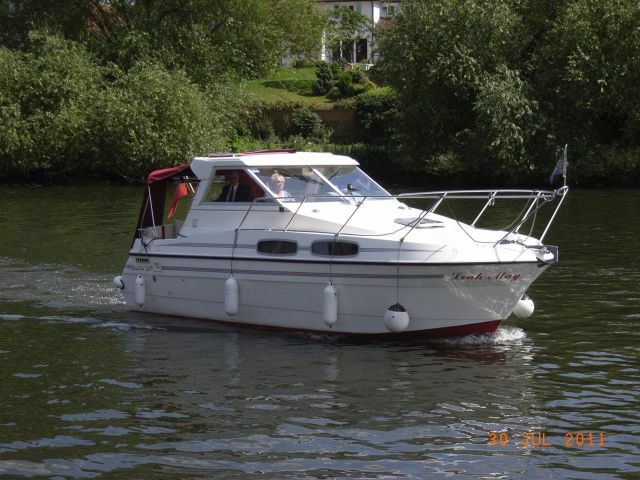 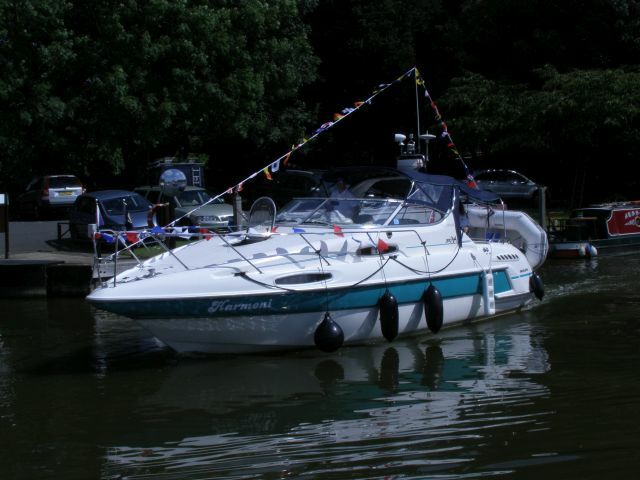 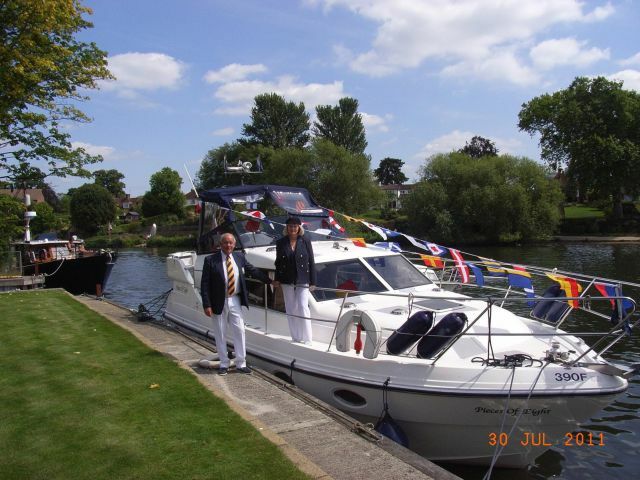 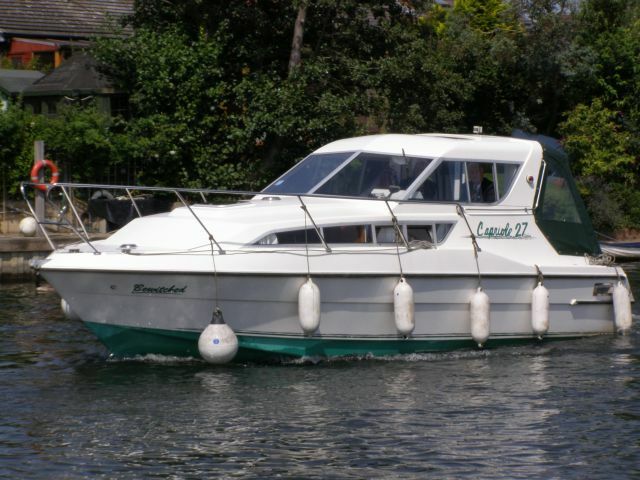 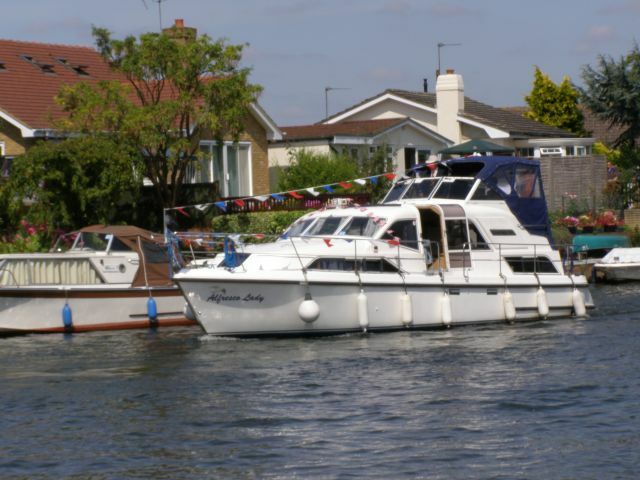 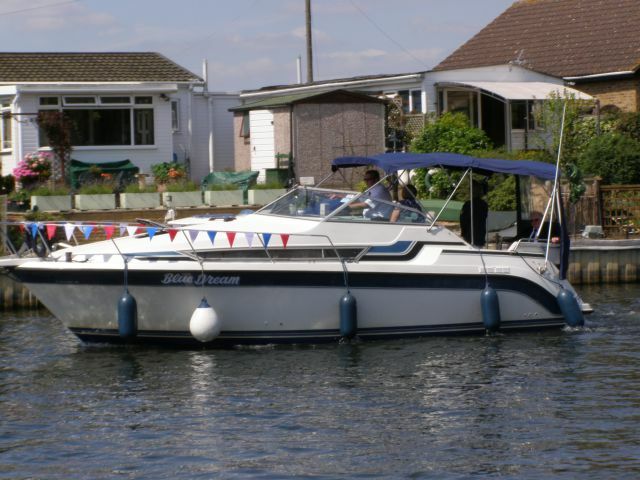 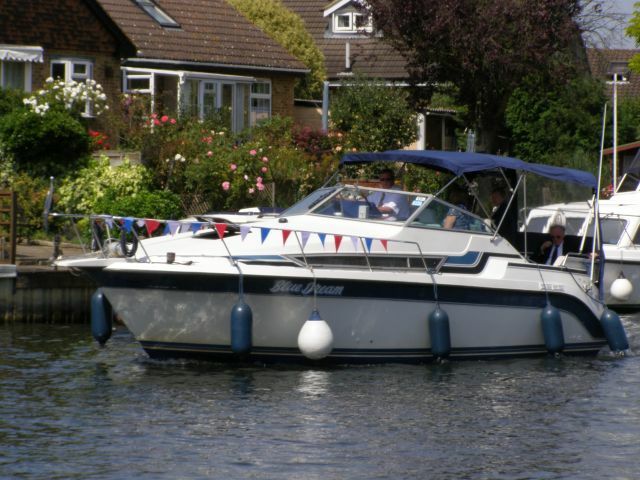 2011 saw the club’s 35th anniversary so we held a party at Shepperton Marina, complete with sail past. 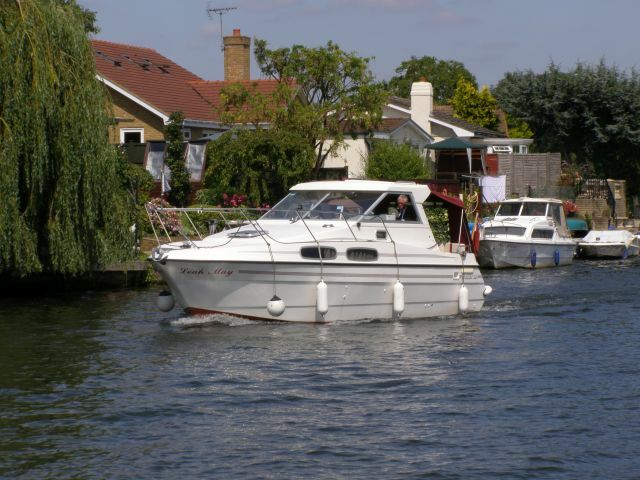 A short cruise to check our boats after the winter. 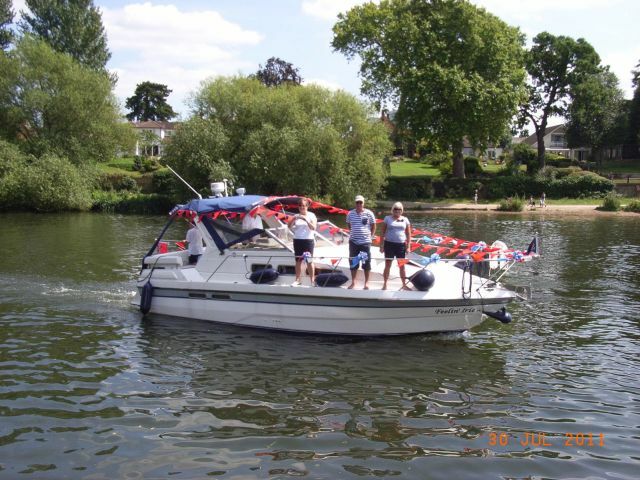 A chance to get together and discuss the start of another season on the river.